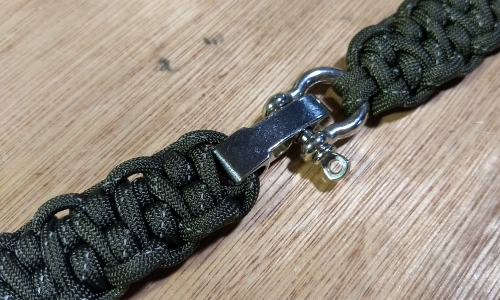 This is perhaps the easiest and most common way to finish a paracord bracelet. Slide buckles are relatively easy to put on with one hand and they provide a clean, finished look. 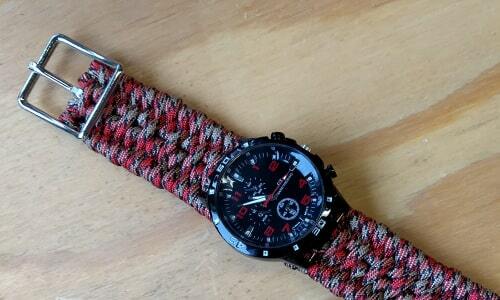 Check out our tutorial for how to set up a bracelet with a buckle. Metal Buckles are even stronger and better looking than their plastic counterparts. Check out this Firefighter bracelet with a metal buckle. Buckles can also add functionality to your bracelet. 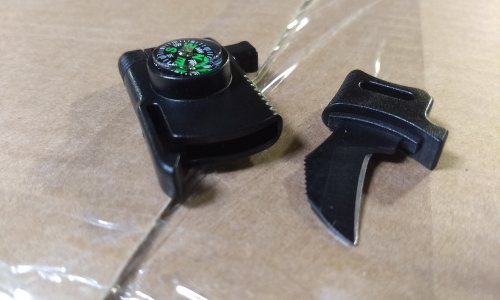 If you don't mind the extra bulk, try our survival buckles, complete with a small knife blade! 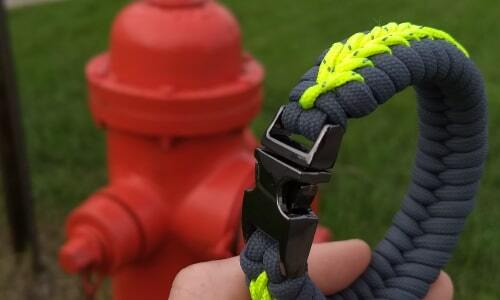 Shackles are the classic way to finish off paracord bracelets. 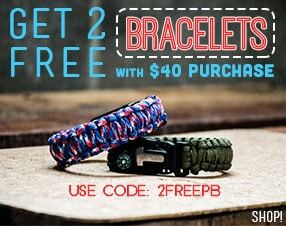 They are extremely durable and give the bracelet a rugged look. Their only downside is that they are time-consuming to put on and take off. Ever since the Tom Hardy Mad Max remake came out, the two-strand adjustable closure has been extremely popular for paracord bracelets. This is a "less is more" approach. If you don't mind the extra cord hanging from your wrist, the "Mad Max" closure is the way to go. It's very simple to construct. You can find a Mad Max video tutorial here. 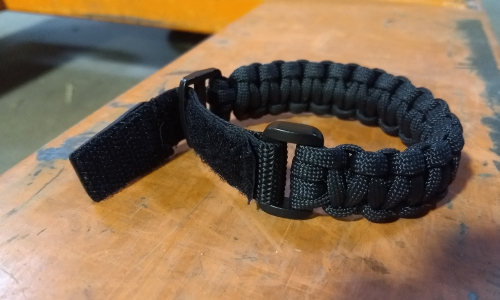 Here's another simple method that is commonly used for quick-deploy survival bracelets. With a little bit of practice and patience, these are fairly easy to undo with one hand. Depending on the knot used, you can also leave a tail that makes it easier to put on. 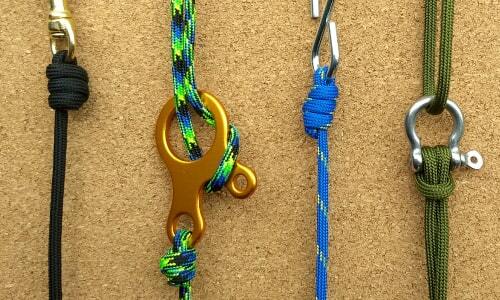 The Ashleigh stopper knot and the diamond knot are good options. 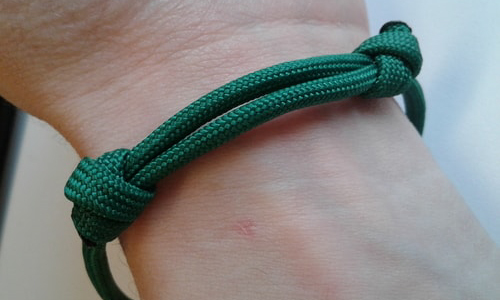 Take a look at these step-by-step instructions for the 1 Minute Survival Bracelet. Instead of looking each hardware product in our store, let's just group most of the rest into one. The Sky is the limit when it comes to hardware that will work as a buckle. Spring snaps are only the surface. A three hole tensioner looks pretty cool on a bracelet. 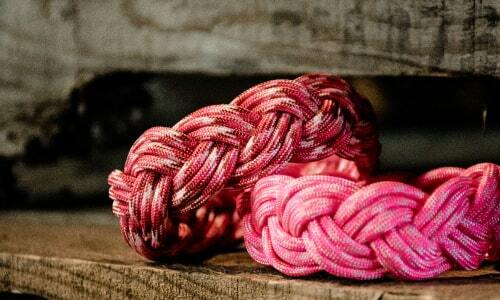 The double fisherman's knot—it's for more than just climbing. 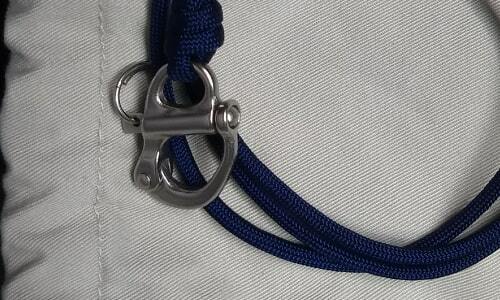 While it is one of the strongest knots, it also makes a great adjustable closure! This method works best with a single-strand bracelet. A velcro closure is more common on manufactured bracelets than on handmade ones. I dislike velcro for several reasons—the foremost being that my hiking clothing and gear does not play nicely with velcro. The less velcro in my bag, the less my sweaters get ruined. If sweaters aren't your thing, then maybe velcro is. Only certain weaves work well with watch buckles. The trilobite weave is perhaps the best with its flat design. Not a bad look, but it's bulkier than most other options. We will be selling these buckles soon in the store. Sometimes you might want to forgo a closure entirely. 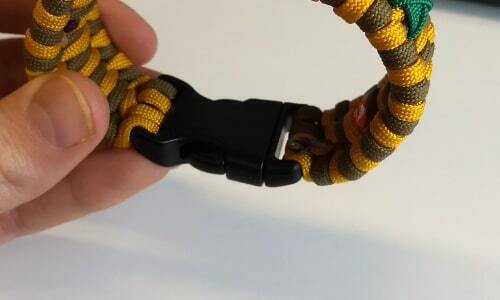 A Turk's head bracelet slides over your hand, eliminating the need for extra knots or hardware. This is a very comfortable option, especially if you find yourself typing at a computer for work. The only difficulty is making a bracelet the right size to fit over your hand while not being too loose. A Turk's head weave is slightly stretchy and eliminates baggy bracelet syndrome. 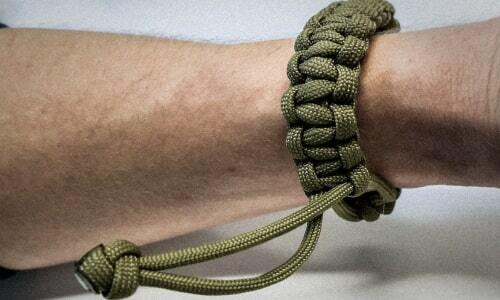 There you have it: 9 ways to finish off a paracord bracelet. Which methods have you used? Can you think of any other ways? Let us know in the comments. Free Hank Friday is over for now, but your comments are always welcome! Stay tuned for more giveaways in the future. 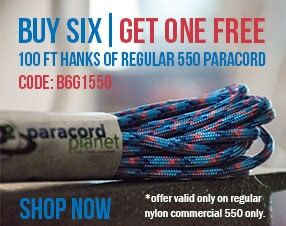 Want more paracord Tips? 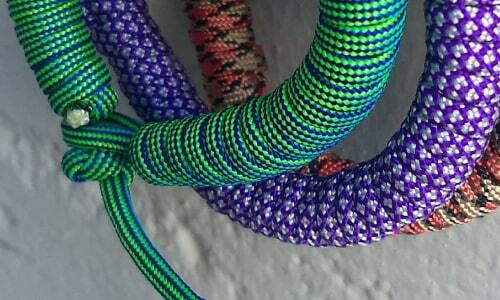 Subscribe to our newsletter at the bottom of the page to stay updated on all things paracord!